Alba, La Morra, Monforte d'Alba, Castell'Alfero, Rocchetta Tanaro, Barbaresco. 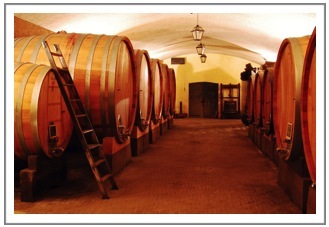 Barolo, Barbaresco, Barbera and… Barrique. Getting inside the core of Piedmont's winemaking with a focus on the wines which make this region one of the most acclaimed wine district of the world. Also, an interesting visit to an artisan of barrique in Asti area to discover the secrets of the barrique, vexed protagonist of the winemaking process in the last decades. A 3 chaptered-day wine tour developing different topics on vineyards, wines and wine process: “Searching His Majesty Barolo” - an instructive visit to the Museum of Renato Ratti's cellars, the first winemaker who created a map of vineyards in Langhe and, afterwards, a visit and tasting session at Conterno-Fantino, even this year top-scored by Wine Spectator; “A day spent among Barriques” - using or not using barrique? Visiting a barrique-factory we'll try to understand the core of the vexed question. Then, a not to miss visit to the cellars famous for the first barbera passed in barrique, the very renowned Braida's "Bricco dell'Uccellone"; “Alba and the Heart of Barbaresco” - in the resort naming the wine itself we'll visit a great name of barbaresco production, Mr Albino Rocca. Then, straight to Alba to visit the many events occurring in the month of October, the charming mediaeval streets and another historic wine maker, Pio Cesare. To maintain a high level of quality during the tour, including exclusive access to certain wineries, we limit the group size to 20 guests. My tours are strongly recommended to people who love Wine, Nature & Relax. I want my customers be free to ask for any questions they like and express their personal feeling in tasting a certain wine or dish. My customers are not requested to be sommelier or wine connaisseurs for enjoying a wine tour in Piedmont! !